We’ve still got a lot of work to do. In the name of love: recalling those that have served and those that have met injustice. 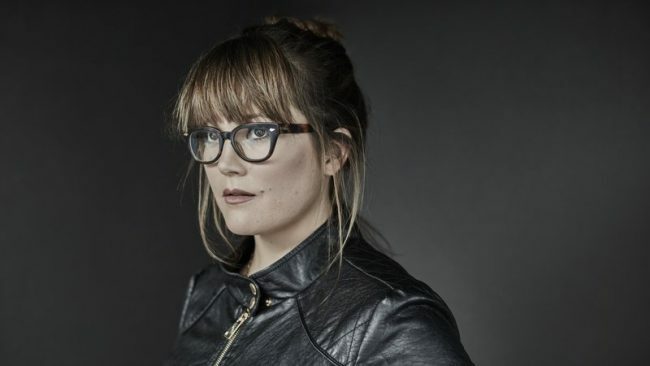 Sara Watkins has heretofore flown frequently under the new-bluegrass banner as a part of the vaunted band Nickel Creek and otherwise. But with her impending new album, Young In All The Wrong Ways, Watkins seems to have forcefully branched out to include rock and pop realms. We were wowed last week when we witnessed Watkins wailing away on her winsome song Move Me on Prairie Home Companion. Watch below as Watkins is joined beautifully by the Steele Sisters (Jearlyn and Jevetta Steele), Rich Dworsky and the forcefully-perfect The Exchange Street Band. A powerful performance! Afterwards, you can check out the official video for the same sang and listen to another scintillating song, Without a Word, off of the new album. All of the above and below bodes incredibly well for Young In All The Wrong Ways. Young In All The Wrong Ways will be released on July 1st on New West and you can pre-order it HERE. We’ll be honest for a change. 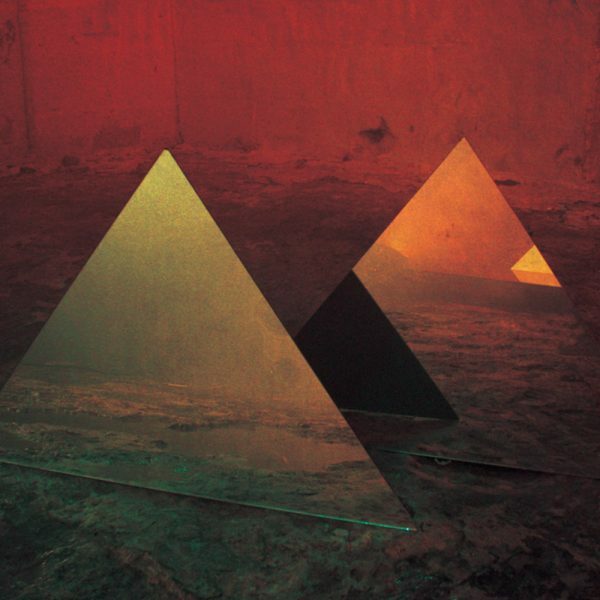 We don’t know diddly-richard about Oklahoma band Broncho, and we don’t have the time. But, as this song says: we “wanna drop their name.” Yesterday we discovered a well-conceived article on Talkhouse written by Broncho’s lead singer Ryan Lindsey (musicians pay attention: it DOES take all efforts and conceivable measures to connect and make it these days) in which Lindsey drew an Eames-diagram analogy to bands. And that was enough for us to go down the Broncho hole and discover the catchy-as-chlamydia track Fantasy Boys below. And now the song’s been on repeat for 24 hours. Check Fantasy Boys out below in all its well-wrought melodic-fuzzyness coupled with its heavenly multi-tracked harmonies. Cocteau Twins meet Jesus & Mary Chain? Regardless, we can’t get enough. Broncho will soon release their new album Double Vanity on Dine Alone Records, and if Fantasy Boys is any indication, Broncho will soon take everyone for a ride. You can pre-order the new album HERE. They also begin a tour tonight that will bring them through California in a week. Check out the dates HERE. As we’ve repeatedly written, “local” rap-rocker Anderson .Paak is rapidly rising through the ranks and his album Malibu is ascending, ummm, with a bullet. 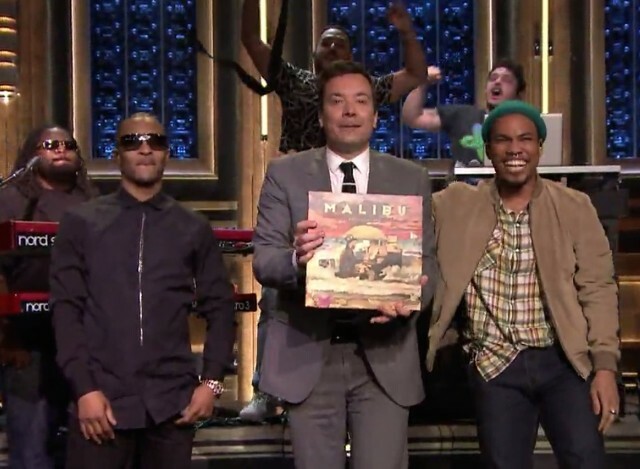 Last night .Paak and band The Free Nationals lit up the Fallon Show with Come Down, which included a scorching verse from T.I. (unfortunately, at T.I.’s Irving Plaza show last night following the Fallon taping, mayhem ensued when one person was killed and three wounded in a shooting–when will we learn people?). Watch below as .Paak opens and closes on drums and throws preposterous verve throughout. Both .Paak and T.I. toss in some ridiculous dance moves to boot. And…standing ovation. Wow! .Paak is out on tour now, and HERE are the dates. Don’t you miss it! We can’t wait. We’ve been anxiously awaiting new music from Feist. But not like this. 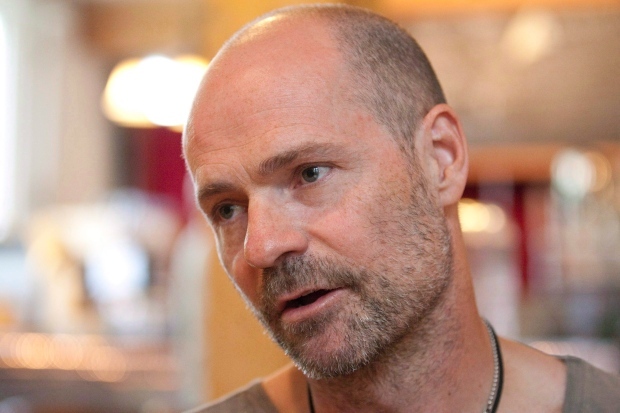 It was disclosed yesterday on The Tragically Hip’s website that their frontman, Gord Downie, has been diagnosed with terminal brain cancer. Despite that very sad news, Downie and the band will go out on one last tour of Canada this summer, despite the diagnosis. “This feels like the right thing to do now, for Gord, and for all of us … So we’re going to dig deep and try to make this our best tour yet.” The tour (dates can be seen HERE) will coincide with the release of the band’s latest album, Man Machine Poem. The song and cover are beauty and the ache in Feist’s voice is palpable. We wish miraculous remission for Downie and nothing but peace. We won’t let it it diminish our super capacity to love. We’ve been getting giddy geeking on the setlists for Radiohead’s opening tour dates (in addition to the incredible new(ish) songs, My Iron Lung, There There, 2+2=5, Airbag, Street Spirit, etc.) 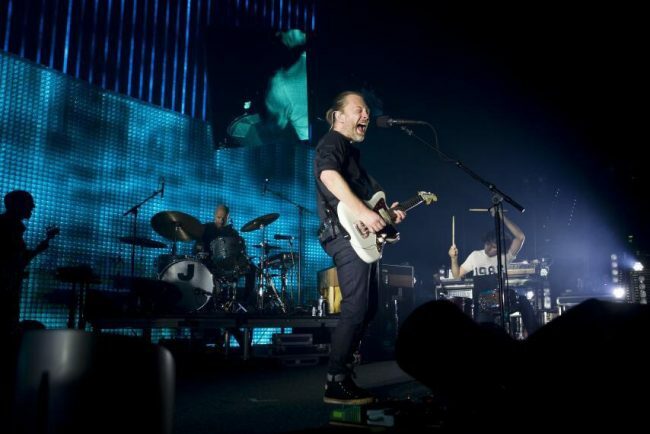 And then we saw Bryan Dessner’s (The National) posting (see at bottom) of last night’s Paris audience serenading the band off the stage after a stellar performance of Karma Police (see setlist below). Without further adieu, watch the full song and serenade (at the 4:28 mark) below via fan video. The second video is merely a version taken closer to the stage (but sans serenade). There will be beauty in song. We can’t wait till the next time we can catch the co-best-band (with The National) on the planet. 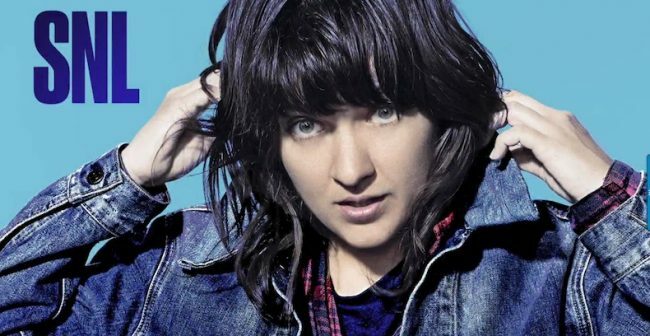 We’ve adored Australia’s Courtney Barnett for seeming eons now (proudly, we were early-adopters on MLK Day in 2014). On Saturday she had arguably her highest profile outing to date, appearing as the musical guest on Saturday Night Live. Watch below to get a feel for Ms. Barnett’s rockier side (in addition to her stellar balladry, such as on Depreston, one of the top songs of all of 2015). First up on our agenda is Pedestrian at Best on which Barnett strikes out for Nirvana, and then amplifies the effect with her Cobain-esque growls from the 3:15 mark on. Superb stuff. She also performed the rollicking, comedic Nobody Really Cares If You Don’t Go to the Party. Both songs are off her critically-acclaimed 2015 album Sometimes I Sit And Think, And Sometimes I Just Sit. Barnett is the real deal, and she remains one of the brighter new lyrical lights on the scene (worthwhile lyrics to both songs at bottom). We ain’t over it yet. We had missed this beautiful duet by John Fullbright and Chris Thile on Prairie Home Companion in honor of the late, great Merle Haggard. Watch below as the duo affectingly cover Haggard’s Sometimes I Dream. Fullbright’s vocal is its rustically-evocative self, and Thile skips the pyrotechnics to match the mood on mandolin (watch his merciful and touching solo at 2:35). Well played all around. As the song goes, “There’s no magic way for me to get over you.” Indeed. 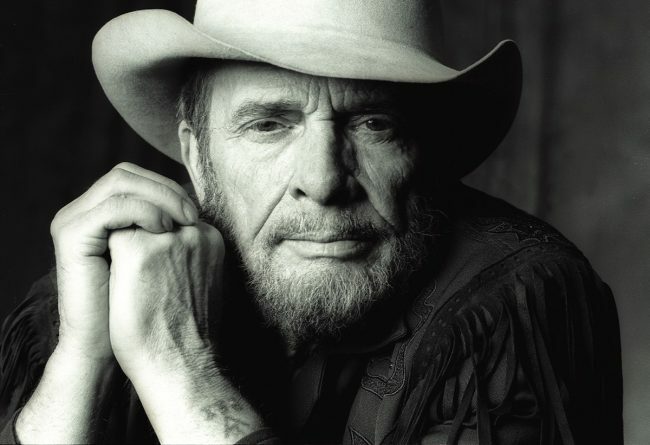 RIP Merle Haggard. Regrets, we’ve had a few more. 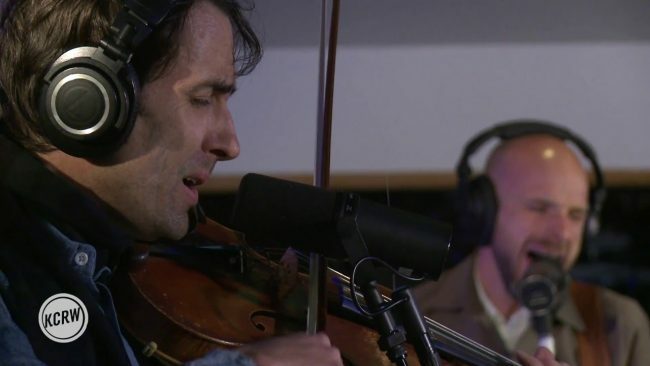 We’ve never managed to catch the gifted singer-songwriter Andrew Bird live and couldn’t connect this go-’round either. To stave off any similar regrets watch the multi-talented Bird and great band on KCRW perform Capsized, a great break-up song off his recent album Are You Serious. This is an inspired version that sounds less like Bill Withers than the recorded version. While we’re at it, check out the additional KCRW performance of the driving, pizzicato Roma Fade (a song about meeting his wife and partially inspired by a drive on the 5 from LA to San Francisco–who does that? Stay on the 101!). Go pick up Are You Serious HERE. Bird will kick off another leg of his tour at Bumbershoot in early September. Check out all the dates HERE. No mo’ Cali, however. 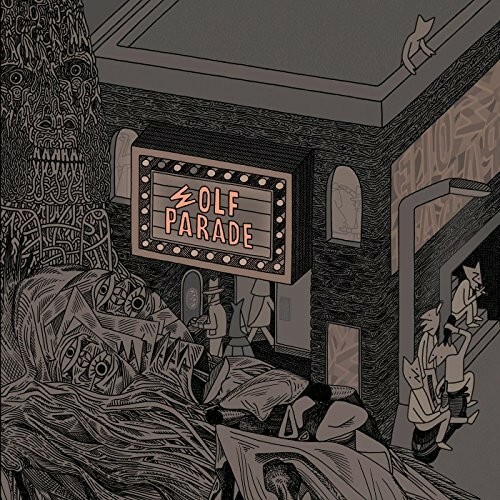 As previously reported, after disappearing following their 2010 album Expo 86, Wolf Parade has thankfully rejoined and surprised with the announcement of new EP 4 and tour. Watch below as the quartet made efficient use of their time on the Colbert Show and raged through a medley of C’est La Vie Way and Floating World off the new EP, first featuring Spencer Krug and then Dan Boeckner. It’s great to have this talented band back and firing on all four cylinders. Check the tour dates after the video and get your tickets HERE.